In 1856, many of the Turners who had come from Cincinnati to help settle New Ulm gathered in a log-built store to form the New Ulm Turnverein, dedicated to physical fitness, education and gymnastics. Two years later they built their first Turner Hall on a full city block, at the same location as the existing Turner Hall and Ratskeller. Though the first Turner Hall burned during the Dakota War of 1862, the Turners rebuilt, and portions of the existing building date as far back as 1873. 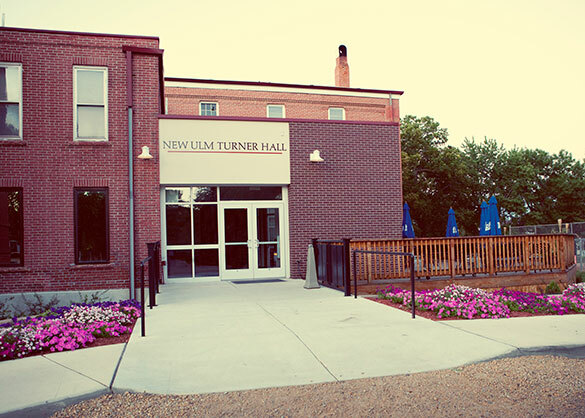 Today, Turner Hall still provides a place for social and civic gatherings and gymnastics, as well as dining. In the Ratskeller, you can enjoy a beverage, lunch or dinner while taking in more than 70 feet of stunning murals of Switzerland, Italy and Germany. An Italian artist painted the scenes in 1873, but they were painted over during WWI to prove loyalty to America. They were restored in 1999.